First sequenced post, ‘The Doodle’. From the + 12 portion of this project, this ‘Doodle’ was selected by good friend and fellow artist Steve. Steve selected the circled in red, doodle no. 1. While pondering the possibilities, I noticed another doodle to the right. I Choose two parts, circled no. 2 and 3, that peaked my interest for consideration into the final design. 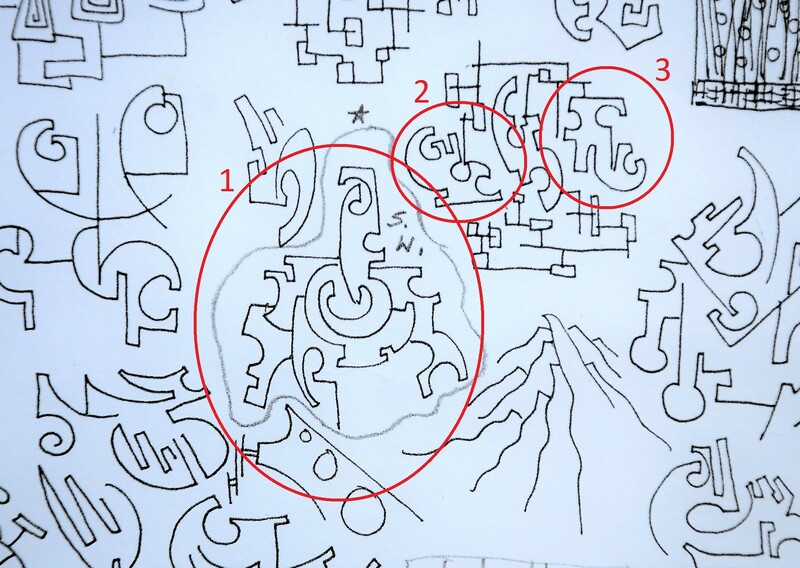 I always like to “see what I can see “ in your original doodles. I saw #2 and my first thought was a fish. It will be fun to see what you saw it as, and how it fits into your final painting.